Composed by Bob Good. Contemporary Classical, Repertoire, General Instructional, Recital. Score, Set of Parts. 9 pages. Published by Surrey Dance Music (S0.424987). 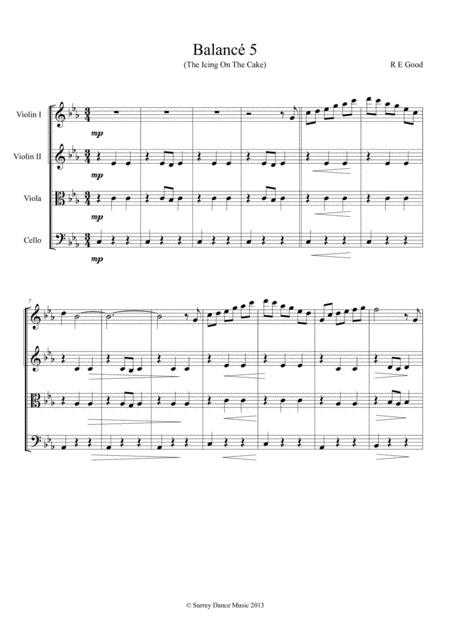 One of our popular balancés arranged for string quartet. I've graded it as Intermediate because of the awkwardness of the melody, and the key, although the recording on the clip was being sight-read, so it can't be that difficult!